Former President Olusegun Obasanjo has accused the Federal Government of planning to have him indicted through a series of plan allegedly to silence him from expressing his concerns over the state of the nation. In a statement on Friday by his media aide, Mr Kehinde Akinyemi, the former President alleged that his name is on a security watch list and that the security of his life cannot be guaranteed. He also claimed that the security information at his disposal revealed that security operatives are daily perfecting how to hang a crime on him. For Chief Obasanjo, this is a joke carried too far and being someone who does not act on unofficial information, he had cautioned all informants and adopted a wait-and-see attitude to the bestial propositions allegedly being contemplated to cow, cage and embarrass him. The content of the alleged beastly designs, it was learnt are two-fold for now. One, to seize his International Passport and clamp him into detention indefinitely, in order to prevent him from further expressing angst on the pervasive mediocrity in the quality of governance, economic management and in the protection of lives and property by the Government. But, since that could expose the Government to a swath of international condemnation, embarrassment and outrage, it is said that another plot being hatched is to cause the Economic and Financial Crimes Commission (EFCC) to re-open an investigation into the activities of Chief Obasanjo’s administration using false witnesses and documents. This will be a re-enactment of the Abacha era in which Chief Obasanjo was one of the principal victims. For the record, Chief Obasanjo reiterates his readiness to face probe again after that of the House of Representatives, the Senate, the ICPC, and the EFCC, but before an independent, objective and credible panel of enquiry to account for his stewardship in Government and beyond. 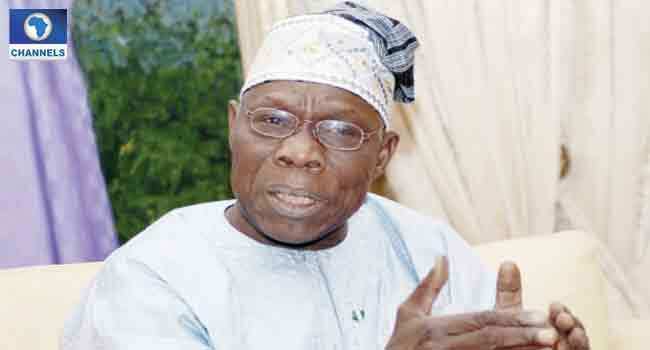 Chief Obasanjo reiterates that he has taken a principled position to ensure that the ship of the Nigerian State does not capsize and he remains steadfast in his resolve to turn the tide of maladministration, poor economic management and rudderless governance model that has torn Nigerians apart on account of religion and ethnicity which is a great threat to our democracy. However, should there be the need for public engagement, the right to free speech will always be exercised and jealously guarded, again in the best interest of Nigeria and the government.